I love knitting. 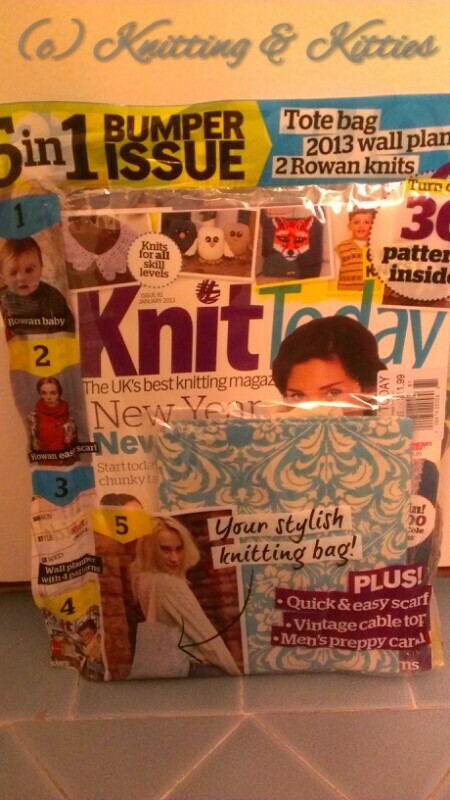 I love knitting magazine. I love free stuff. 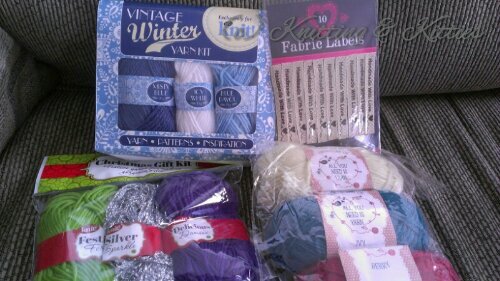 I love free knitting stuff. And if one puts all of those things together and you happen to be standing between me and it, I will shove you out of the way. If there’s only one left I won’t even apologize. Nine balls of yarn and several “Handmade For You” fabric labels. NINE BALLS OF YARN!!! Now, there’s no way on this earth I’m putting that green with the purple that came with it. I don’t care what the patterns say. It ain’t happening. But the purple and silver are going to look lovely together. The wintery blues in the vintage box up top will look smashing together, though. Each and every ball is so squishy and soft, too. Well, not the silver, but it’s super shiny and that totally makes up for it. Sewers, crocheters, jewelry makers and card makers, you too can be getting awesome craft related freebies with your magazines! I’ve been tempted to buy them many times, but I have to remind myself that I can’t actually do any of those things. This entry was posted in magazine, Yarn. Bookmark the permalink.